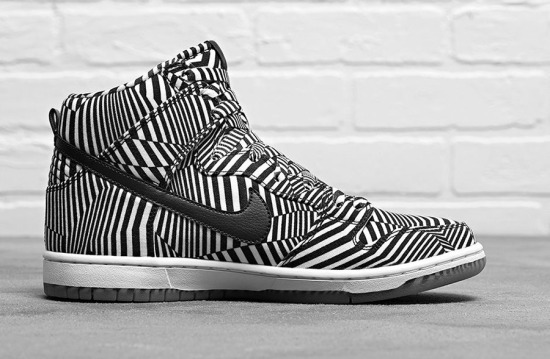 During World War I, British artist Norman Wilkinson invented the dazzle camouflage technique, also known as razzle dazzle, by painting warships with geometric patterns of contrasting colors to confuse the enemy about the ship’s course. American artist Tauba Auerbach was inspired by the war tactic and has transformed a retired fireboat into a public art piece co-commissioned by the Public Art Fund and the World War I centenary art commissioner 14-18 NOW. 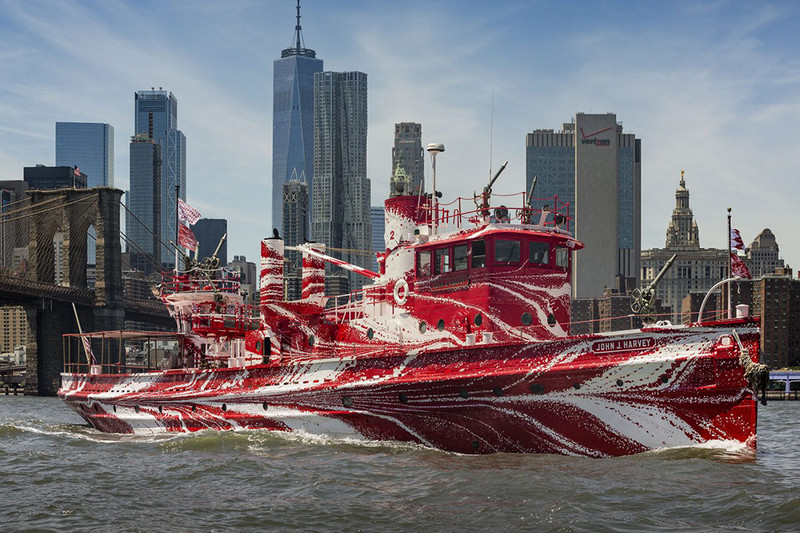 Auerbach painted the fireboat John J. Harvey with a head-turning pattern featuring the historic vessel's original red and white colors. She made bold brushstrokes across the body of the ship, drawing swirling curves and flowing shapes from stern to bow. According to a statement from 14-18 NOW, Auerbach’s piece, titled Flow Separation, is a “visualization of the physics of fluid dynamics,” and its design “incorporates the movement and behavior of water.” The ship is part of a larger series of dazzle ships co-commissioned with the British contemporary visual art festival, Liverpool Biennial, and is supported by Bloomberg Philanthropies. It will be stopping at different spots in New York Harbor throughout the summer and the public can enjoy trips aboard the vessel for free on weekends through May 12, 2019. Use this link for the full schedule and tickets.